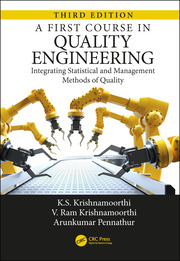 This book introduces fundamental, advanced, and future-oriented scientific quality management methods for the engineering and manufacturing industries. It presents new knowledge and experiences in the manufacturing industry with real world case studies. It introduces Quality 4.0 with Industry 4.0, including quality engineering tools for software quality and offers lean quality management methods for lean manufacturing. 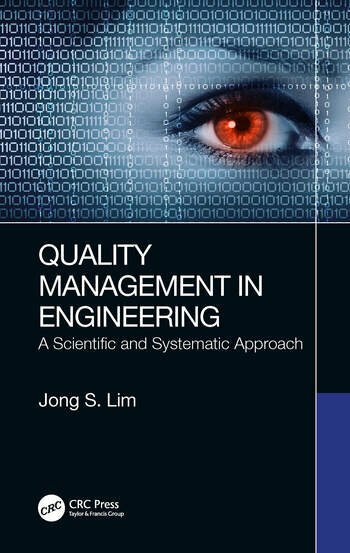 It also bridges the gap between quality management and quality engineering, and offers a scientific methodology for problem solving and prevention. 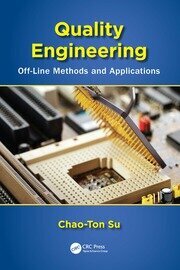 The methods, techniques, templates, and processes introduced in this book can be utilized in various areas in industry, from product engineering to manufacturing and shop floor management. This book will be of interest to manufacturing industry leaders and managers, who do not require in-depth engineering knowledge. It will also be helpful to engineers in design and suppliers in management and manufacturing, all who have daily concerns with project and quality management. Students in business and engineering programs may also find this book useful as they prepare for careers in the engineering and manufacturing industries. 1: Fundamentals of Manufacturing. 2. Quality Management in Manufacturing. 3. Principle-based Quality Management. Quality Management and Quality Engineering. Scientific Problem Management. 6. Preventive Quality Management. 7. Customer Relationship Management. 8. Scientific Quality Planning. 9. Structured Quality Deployment. 10. Self-Improvement of Quality. 11. 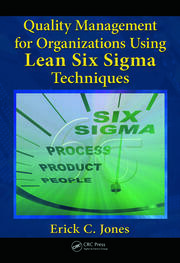 Lean Quality Management. 12. Perceived Quality for Premium Brand. 13. Software Quality Management in Manufacturing. 14. Quality 4.0 with Industry 4.0. Jong Lim started his professional career as a quality engineer in the automotive industry in 1985. He received his Ph.D. in "Thermodynamics and Heat Transfer" from Duke University (1991) under the supervision of Professor Bejan. Dr. Lim progressed through engineering, management, and executive positions in internationally prestigious companies: Quality Engineer at Hyundai Motors (1985), Senior Researcher at Samsung Electronics (1991), New Model Quality Manager at Honda Motors in North America (1997), Quality VP at Renault Samsung Motors (2008), R&D VP at Geely-Volvo Motors (2013), professor at Yangzhou University in China (2018), and CEO of QEMT – industrial consulting company (2019). When he was in Honda, he was a new model quality manager developing many of Honda models for North American Market like Civic, Odyssey, and MDX. In 2008, after he joined Renault Samsung Motors in Korea as Vice President of the Quality Division, he set up a robust quality system for new model development and strategic customer relationship management, and as a result, the brand achieved No. 1 customer satisfaction for 10 consecutive years. In 2013, he joined the Geely Group as the Quality VP of New Platform Development in conjunction with Volvo for a global brand for the Chinese and European market. In 2016, as a result of his distinguished contribution to quality in the Chinese manufacturing industry, he received the Best Foreign Expert Award from the Chinese government. Currently, he is teaching industrial quality engineering and management programs in universities as well as consulting for manufacturing companies around the world in the areas of quality and productivity.